With more than 30 companies to choose from, we can tailor an insurance program to meet your coverage and budget needs while seeing that you are receiving the protection that you can trust in your time of need. 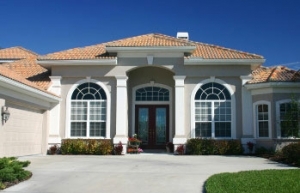 Not all policies are created equal… Do you have adequate coverage for your home and possessions? Will you be able to repair damages without penalty? 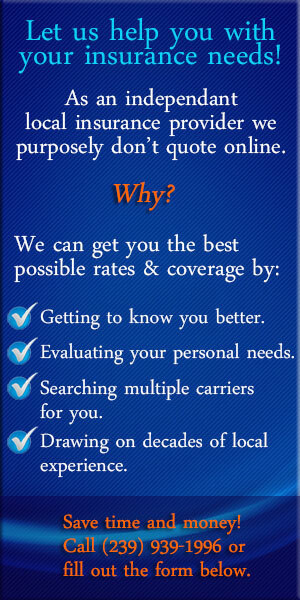 Do you need Replacement Cost coverage? Are your valuables properly insured? We can help! One of the most underestimated risks are those involving automobile accidents. Are you covered? Will your insurance pay your claim? How much coverage do you really have? How much do you need? How will you pay for injuries you may cause, or worse yet, how will you be able to get back to normal after being injured by someone who has no insurance? 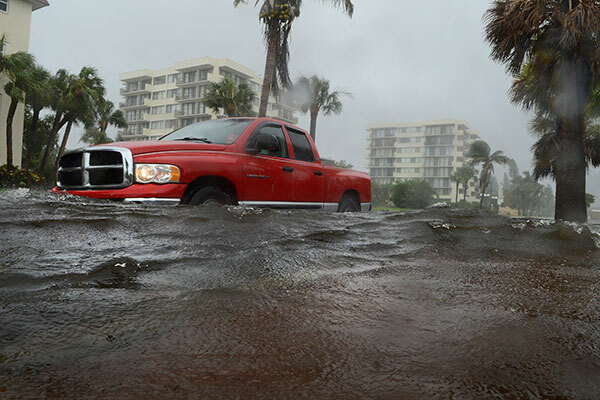 High tides, flooding from rains, and storm surge are NOT covered under your homeowner policy. Many people think that if their lender doesn’t require that they purchase flood insurance they aren’t likely to have a flood loss. That is simply not true. As we have seen, floods can happen at any time! Did you know that the entire State of Florida is in a flood zone? Floods are the most common of ALL natural disasters. Did you know you are 5 times more likely to suffer a loss from a flood than from a fire? The chances only increase of you live in a non-standard flood zone.The National Flood Insurance Program reports that more than 25% of all flood claims occur in areas not deemed as being “high risk” for flooding. Rates are surprisingly affordable! From bass boats to big water boats we can help. 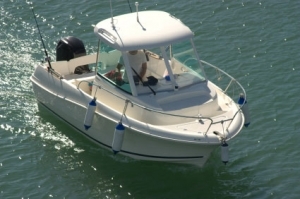 Your boat can be damaged on land or in the water. Do you have the right protection to cover you for this investment? What if you were to cause damage to someone or something? Do you have protection to prevent out of pocket expenses? 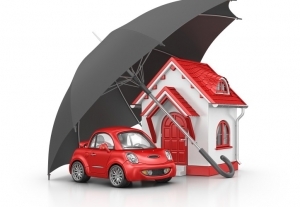 Umbrella Liability protects your assets including your future assets! In today’s litigious society, your hard earned assets (and those you have yet to earn) are at risk! If you are found negligent your assets and future earnings can be the target of lawsuits. With a proper assessment of your needs, we can help you reduce the risk of losing what you work so hard to achieve.